Fit / Fill Images on PLP. Introducing New Product Listing Page Image Layouts. A great user experience is the hallmark of established and trustworthy brands. Customers all across the globe expect the best experience on all the apps they use and love. 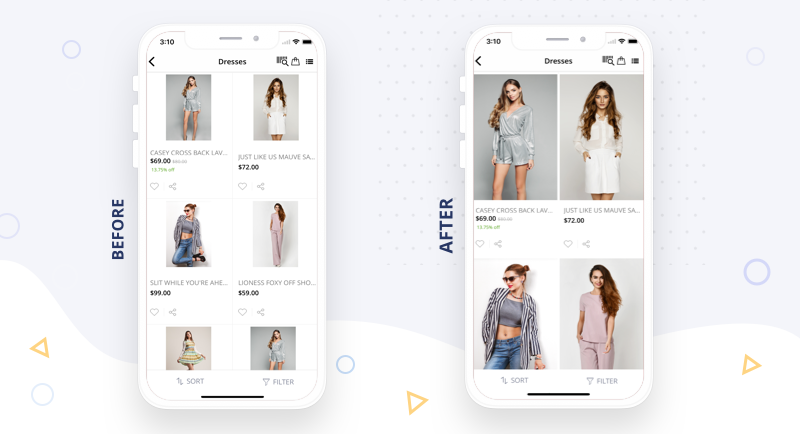 It matters all the more for e-commerce apps, as a little lack of finesse can result in lost dollars. We have always strived hard to empower you in providing such delightful user experience to your customers through your mobile app. The unending list of features, layouts customizable to the T and the blazing fast speed of our apps have contributed to the cause. The latest in the impressive line-up is The New PLP Image Layouts. What’s new with the PLP Image Layout? 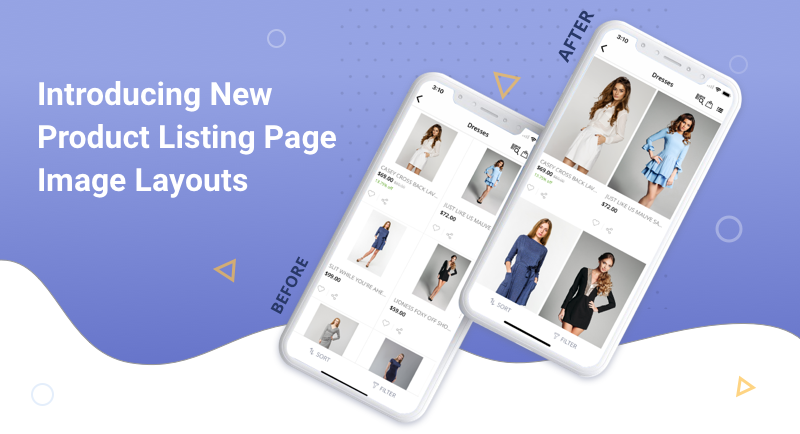 The new layouts will enhance the design of your app and help you showcase your products in a manner that impresses. 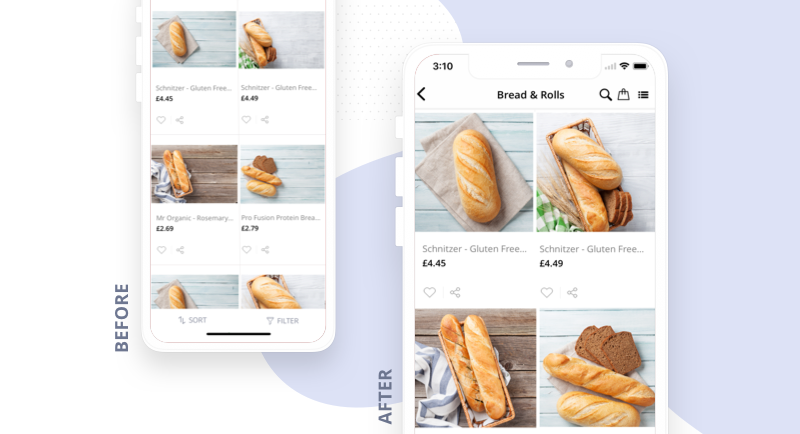 The layouts are designed keeping in mind the breadth of clients we serve, hence mobile apps across verticals can use it for an upgraded visual experience. You can still choose to upload images in the custom resolution for your app and not use these layouts at all. However, we helped a few of our customers set it up and they absolutely love it. The Vertical Image Fit/Fill is best suited for apps that showcase products such as mobile devices or accessories, vapes, backpacks and most of all, apparels. The vertical nature of the image allows you to showcase the products in length, without without compromising on the details. The industries that require their products to be showcased in square images, can use the Square Fit/Fill layout for an enhanced experience. Products such as watches, LED projectors, night masks, household and kitchen equipments, groceries and a lot more, look their best in this layout. How to get it Live on your app? The early adopters of the layouts are loving it and we are sure you’ll love it too. We have our tech team ready to take on the requests. You just need to drop an email to support@plobalapps.com and we will take it up from there.